Transport Canada has published its long-awaited electronic logging device (ELD) mandate proposal just days before the U.S. mandate goes into effect. The proposal, if adopted, would require federally-regulated commercial motor vehicle drivers to use an ELD to track their hours of service (HOS). 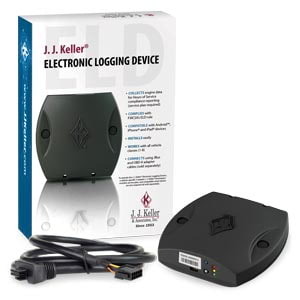 Like the Federal Motor Carrier Safety Administration (FMCSA), Transport Canada is proposing to give carriers and drivers subject to the regulation two years to comply with the ELD mandate, and an additional two-year grandfathering period for carriers that have already started using electronic recording devices. Transport Canada is also proposing changes to the supporting documents requirements, again harmonizing with the U.S. regulation, which requires carriers to collect five types of supporting documents and keep up to eight supporting documents for each driver. Canadian rule makers have recognized that Canada’s ELD mandate needs to be consistent with the United States’ ELD rules to accommodate cross-border operations. The ELD mandate proposal incorporates the Canadian Council of Motor Transport Administrators’ (CCMTA) draft ELD Technical Standard (May 2017), a standard that closely follows the U.S. ELD technical standards for operability and functionality of ELDs. Those interested in commenting on the proposal have 60 days to do so. See gazette.gc.ca for further details. Comments can also be sent via email to andrew.spoerri@tc.gc.ca. This article was written by Heather L. Ness of J. J. Keller & Associates, Inc.